Gallatin County, Montana - Four conservation organizations filed a legal challenge today against the Montana Department of Fish, Wildlife and Parks' (FWP) decision to complete one phase of its Quarantine Feasibility Study on a private ranch of Turner Enterprises, Inc. (TEI), and to give TEI a percentage of the public's bison at the end of the study. The groups assert that this action violates the state's public trust responsibilities to protect and manage wildlife for public and not private benefit. The decision privatizes a full 75% of any offspring born to the 86 bison now held on TEI's Green Ranch. Throughout earlier phases of the study, FWP indicated all bison, including offspring, would be managed as public wildlife and could never be privatized. The plaintiffs assert FWP's final decision goes against these promises, and against FWP's public trust duties. "Fish, Wildlife, and Parks would like to have us believe that slaughter was the only other option for these bison," said Dan Brister of Buffalo Field Campaign. "The truth is that the state ignored or rejected many options that didn't involve slaughter, privatization, or domestication." Under the agreement, which was finalized in February, Turner Enterprises, Inc. will keep 86 Yellowstone bison and their offspring on his Green Ranch for five years. Rather than receive monetary compensation, Turner will be given 75% of the bison's offspring as payment for the deal made with Montana Fish, Wildlife, and Parks to house the bison. The groups, including Western Watersheds Project, Buffalo Field Campaign, Gallatin Wildlife Association, and the Yellowstone Buffalo Foundation assert that the agreement with Turner violates commitments made by FWP throughout the quarantine process not to sell or privatize the bison. Fish, Wildlife, and Parks does not have the authority to sell the public's wildlife. According to Glenn Hockett, volunteer president of the Gallatin Wildlife Association, "Fish, Wildlife, and Parks changed the rules in the middle of the game. They promised they would never privatize these bison or their offspring. Clearly, they failed to uphold this promise." "Fish, Wildlife, and Parks is, in effect, selling an irreplaceable American treasure to pay for the completion of an ill-conceived plan," said Stephany Seay of Buffalo Field Campaign. "Fish, Wildlife, and Parks made a huge mistake by starting this quarantine experiment without having an adequate plan for its completion and as a result Americans are being asked to pay for this mistake with the offspring of bison originating as wildlife from Yellowstone." While the public recommended options and FWP received various proposals that wouldn't have privatized the bison or their offspring, these proposals were ignored or rejected in favor of the agreement with TEI, which failed to meet FWP's initial stated criteria. FWP has hundreds of thousands of acres in Montana where these Yellowstone bison could be relocated to right now, yet FWP has failed to adequately assess or consider available habitat in Montana and disseminate the information to the pubic. Summer Nelson, the attorney with Western Watersheds Project who is litigating the case, said, "Fish, Wildlife and Parks had five years to develop an alternative that would keep these bison in the public domain, and the public even suggested several reasonable options for these bison to be managed as wildlife. Instead of analyzing these options, FWP selected an alternative that results in privatizing public wildlife. By deciding on the alternative that privatizes wildlife, when it could have selected an alternative that ensured the bison remained wildlife and publicly accessible, FWP is abandoning its public trust responsibilities over these wild bison." Of particular concern to the groups is the fact that these bison, members of America's only continuously wild population, will not be able to be observed, accessed, or enjoyed by the public for at least five years and the majority of their offspring will be lost to the public forever. Additionally, FWP has not committed to ensuring the bison returned to the state at the end of the study, or even the additional bison still in quarantine, will be managed as public wildlife. The decision sets a precedent for future privatization. "By removing these bison from Yellowstone, holding them on private lands where the public is not allowed to see them, and selling their offspring to a private corporation, the State of Montana is in clear violation of its public trust responsibilities," said Joe Gutkoski, a representative of the Yellowstone Buffalo Foundation, "How did the promise of wild buffalo in Yellowstone National Park for the enjoyment of future generations become ranched buffalo fenced behind PRIVATE, NO TRESPASSING signs?" Buffalo Field Campaign learned on Tuesday that one bison calf had died shortly after being transported to the Green Ranch on February 17. "The calf died more than a month ago and we were only able to learn about it today," said Stephany Seay, "This lack of disclosure on the part of the government makes clear the need for public access to these bison." The groups are asking the court to restore the public trust by establishing the right of the public to access the bison while they are held on the Green Ranch, and by instructing FWP to develop and select an alternative that ensures the bison, including all their offspring, remain public wildlife and are not given to TEI or any other private party. Westerm Watersheds Project is a regional, membership, not-for-profit conservation organization, dedicated to protecting and restoring watersheds and wildlife in the American west. WWP has its headquarters at the Greenfire Preserve in Custer County, Idaho; and is supported by more than 1,400 members located throughout the United States, including in Montana. WWP's Montana office is in Missoula, and it also has offices and other staff in Boise, Hailey, and Salmon, Idaho, Wyoming, Utah, Arizona, and California. Through these staff, and with the assistance of numerous unpaid members and supporters, WWP is deeply involved in seeking to improve livestock grazing management on federal and state public lands. WWP is actively involved in protecting and restoring populations of native, wild bison on their current and historic habitat. Buffalo Field Campaign is a non-profit public interest organization founded in 1997 to stop the slaughter of Yellowstone's wild bison, protect the natural habitat of wild free-roaming bison and other native wildlife, and to work with people of all Nations to honor the sacredness of the wild bison. BFC has its headquarters in West Yellowstone, Gallatin County, Montana, and is supported by volunteers and participants around the world who value America‚s native wildlife and the ecosystems upon which they depend, and enjoy the natural wonders of our National Parks and Forests. 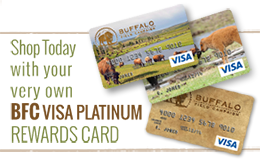 The Yellowstone Buffalo Foundation, located in Bozeman, Montana, is committed to restoring buffalo (bison) on public land managed by states and the U.S. Government. The Yellowstone Buffalo Foundation aims to build a consensus on the national importance of wild, free ranging, genetically viable core herds of the animal named bison, also known as the American Buffalo, recognizing that there is presently a problem with buffalo range and habitat as illustrated by annual migrations of these wild buffalo out of Yellowstone National Park. The Yellowstone Buffalo Foundation works to find resolutions that recognize that humans share a biological ecosystem with all other life, including the buffalo.